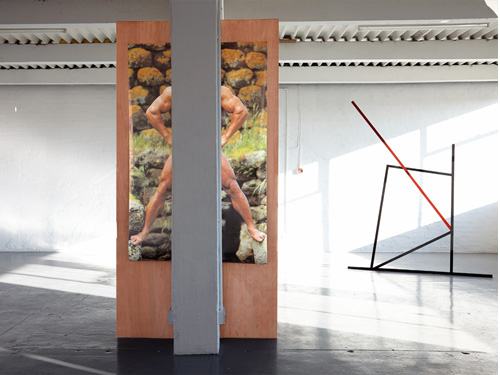 Brian J Morrison’s practice is built on an engagement with the social theory of heteronormative masculinity and aims to offer a critical enquiry into the hegemonic forces that instill regressive gender codes. Primarily using appropriated, gender encoded, advertising imagery, he creates works that relate to the actions, motions and rituals of extreme bodybuilding. For the past two years Brian has been interrogating the discourse surrounding the imagery produced by Joe Weider’s publishing empire (the world’s leading fitness magazine publisher) and the legacy it created within this intensely gendered area of society. 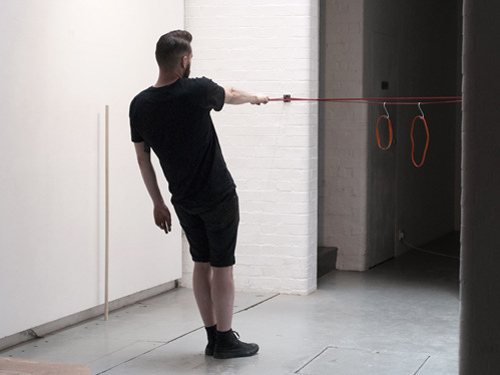 Brian used the residency to experiment with new ways of working in an attempt to break away from the body image and challenge the visual outcomes of his practice. Heset out to investigate in more depth, the materiality of the sculptural object. The residency facilitated this process of departure, especially within the ceramics workshop at Standpoint where Brian spent a lot of his time. 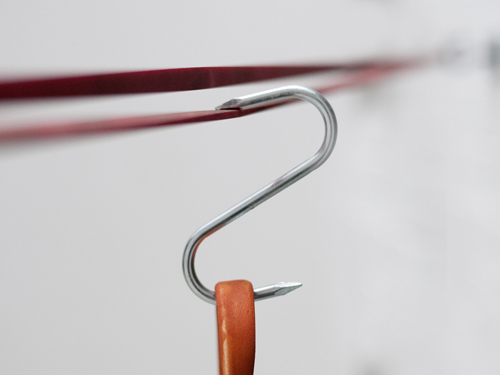 For the final event Brian tesedt out new ideas through a performative installation. Phallacy was an experiment and the first performance Brian had done, which he has continued to develop within his practice during a group residency at New Art Gallery Walsall. Brian J Morrison was born in Belfast 1980 and now lives and works in Birmingham. He has made solo exhibitions No Pain No Gain!!! at Supercollider, Blackpool in 2014, and Ripped Chiseled Rock Hard, as part of The Belfast Photography Festival in 2013. He teaches on the BA (Hons) and MA Photography at the University of Central Lancashire.